Recently all 2nd year art pupils took part in a watercolour workshop as part of the J.C.S.P “Artist in the Classroom” initiative. 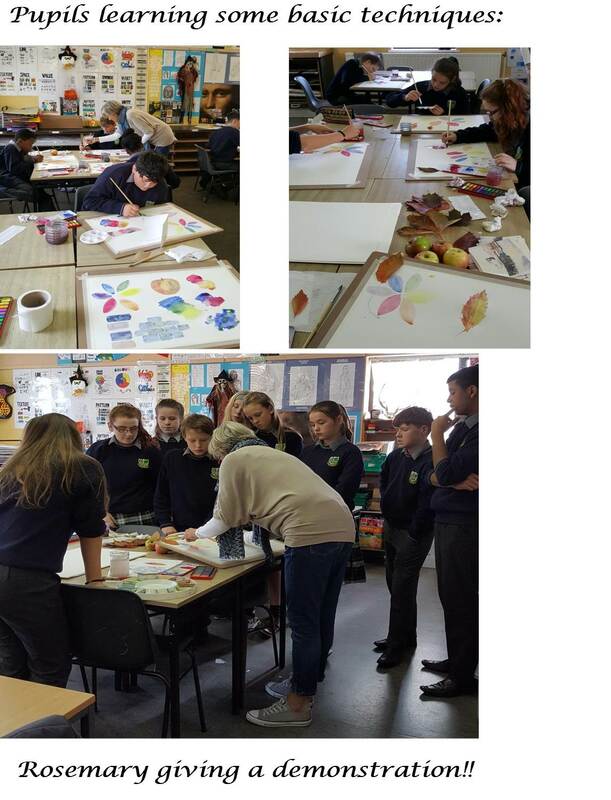 Rosemary Burns visited the school and worked with pupils exploring watercolour techniques, using their imaginations to create art work and getting inspired by their own town. 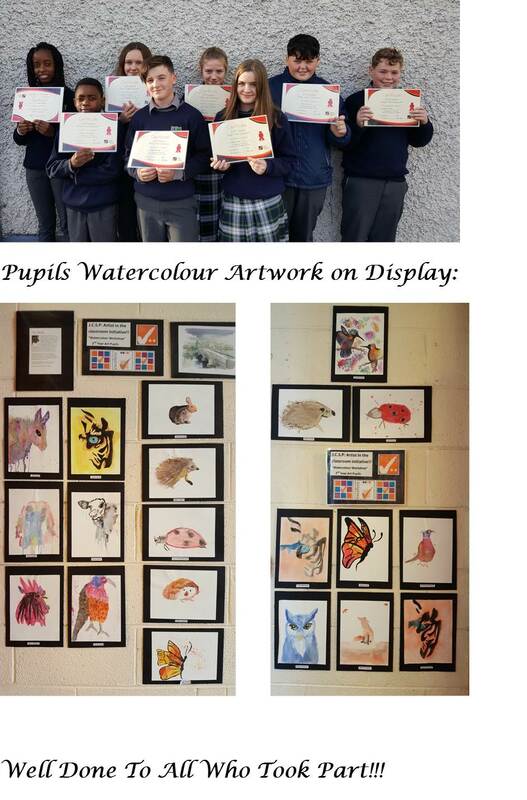 Pupils worked over two days to create watercolour paintings which they then displayed in a school exhibition. 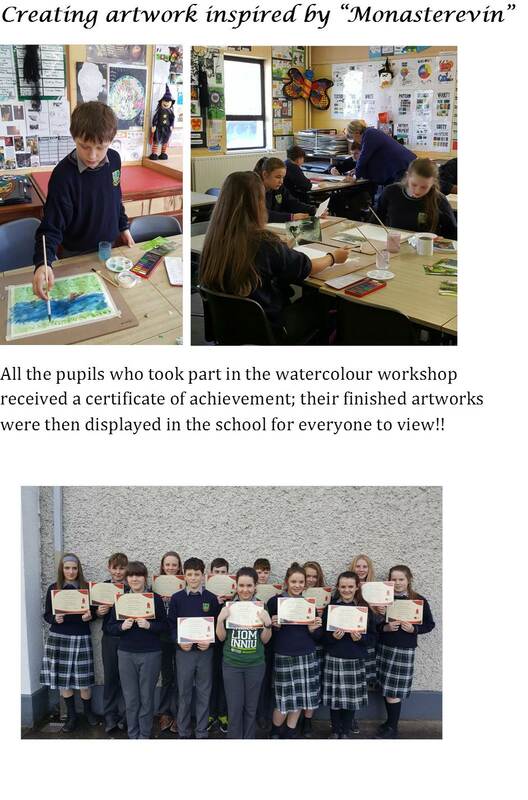 All pupils who took part were awarded a certificate of achievement for their efforts! Rosemary Burns has been living in Kildare for over 30 years. She studied Art & Design as a mature student at the National College of Art & Design (NCAD). 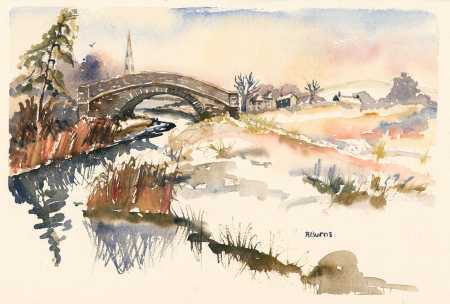 The landscapes of Kildare and Connemara have always inspired her work. In 2000, Kildare County Council commissioned her to design a calendar depicting 12 well known scenes of the country. Rosemary also runs painting workshops abroad for people who want to learn the wonderful technique of watercolour painting in the sun! !